The last of the naturally aspirated V8's stands as the sole survivor. 9000 RPM never sounded so sweet as it does here. 597 horses scream from the top of their lungs as your launch down the road or the race track. Factory options include: Blue brake calipers, Carbon fiber side nolders, horse stitched on headrests, in-out electro mirror with homelink, parking camera, front and rear parking sensors, NART racing stripe, 20" forged dark painted rims, Special stitching. This car will find its' new owner with all items associated: 2 keys, car cover, books, charger. 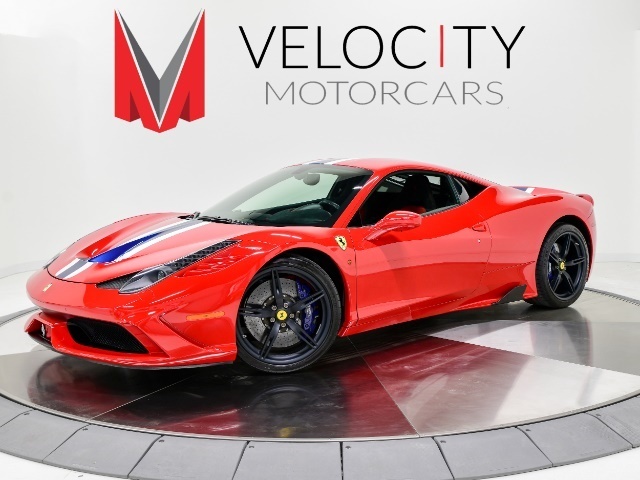 I am interested in this 2015 Ferrari 458 Speciale that recently sold on duPont Registry.